...interspersed with all this levity and stage-presence were moments of beauty, both musical and emotional. Why See The Tallest Man on Earth? 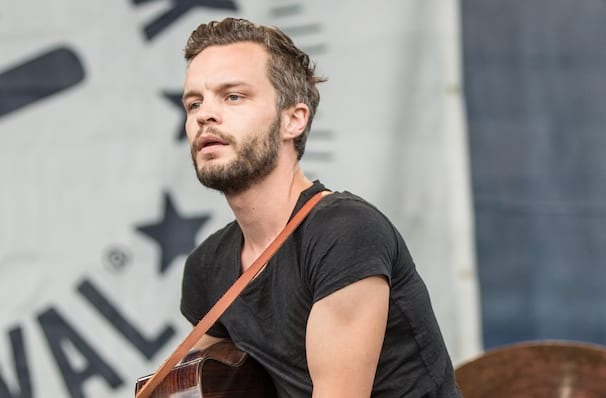 Singer-songwriter Kristian Matsson is often lauded as Sweden's answer to Bob Dylan. His gravel-toned, heart-felt vocals and skill with an acoustic guitar evoke the spirit of the rambling planes and open roads of the Americana Folk tradition with a charming Indie twist. The free-wheeling troubadour now heads out on a tour of the US in support of his brand new album 'I Love You. It's a Fever Dream'. 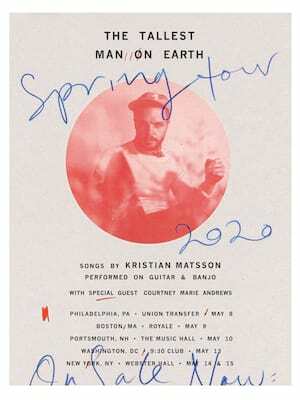 Mattson's music is as known for its husky vocal growls and beat poetry allusions as its intricate fingerpicking and fretwork. When playing alone, he has the ability to completely disarm the crowd and general chatter reduces from a dissonant buzz to a hushed reverence in an instant. There is something simply magnetic about the singer as he pours his heart out on stage. Seen The Tallest Man on Earth? Loved it? Hated it? Sound good to you? Share this page on social media and let your friends know about The Tallest Man on Earth at Wang Theater. Please note: The term Wang Theater and/or The Tallest Man on Earth as well as all associated graphics, logos, and/or other trademarks, tradenames or copyrights are the property of the Wang Theater and/or The Tallest Man on Earth and are used herein for factual descriptive purposes only. We are in no way associated with or authorized by the Wang Theater and/or The Tallest Man on Earth and neither that entity nor any of its affiliates have licensed or endorsed us to sell tickets, goods and or services in conjunction with their events.